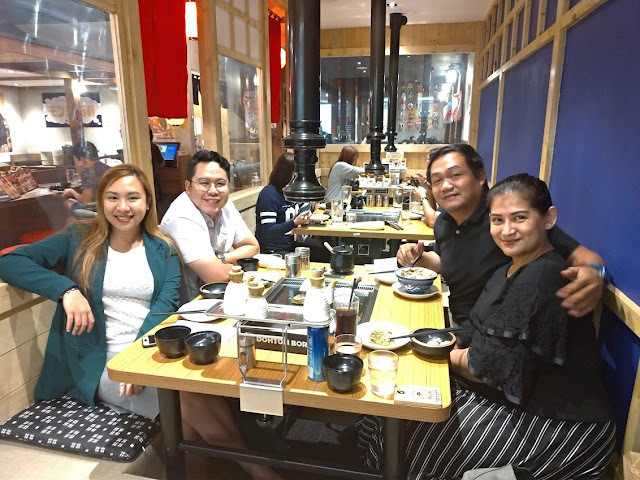 I had dinner with a good friend last month at Dohtonbori. It's a quaint looking Japanese place located on the 2nd floor of SM Mega Fashion Hall. 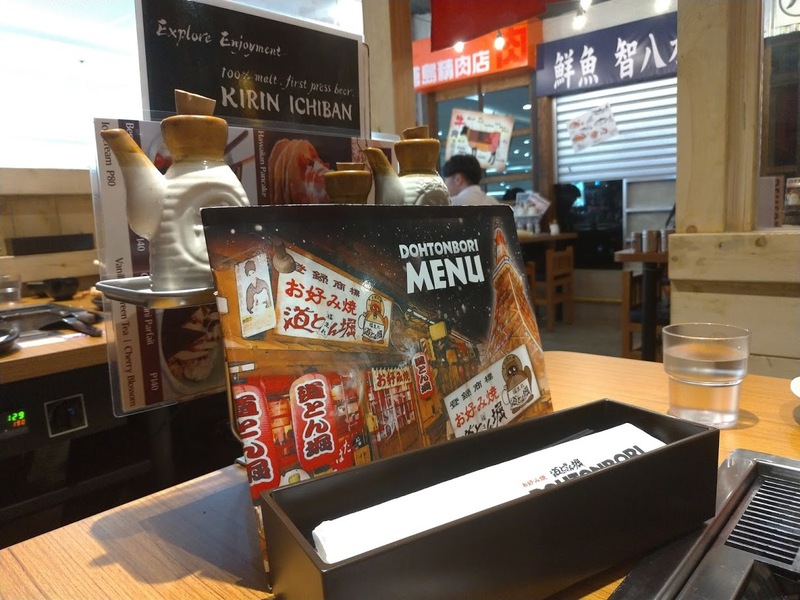 It doesn't look appealing from the outside but once you take a peek, you'd feel like you've been transported to Japan. This is the frying area where they cook the Okonomiyaki which is their best seller which is what I ordered of course. 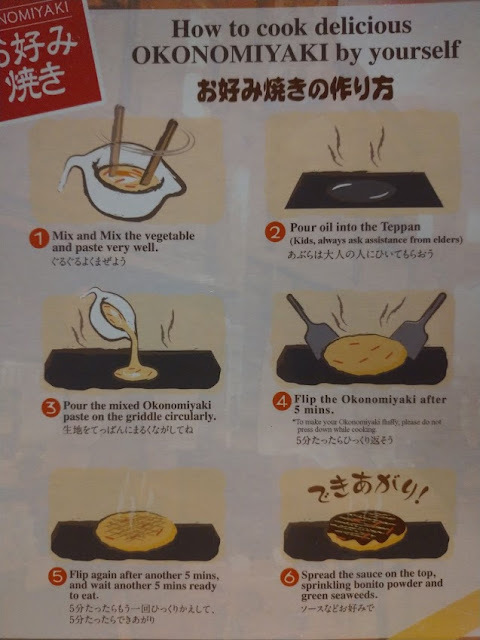 I loved that they even have a guide on how you can cook the Okonomiyaki by yourself if you're feeling adventurous. 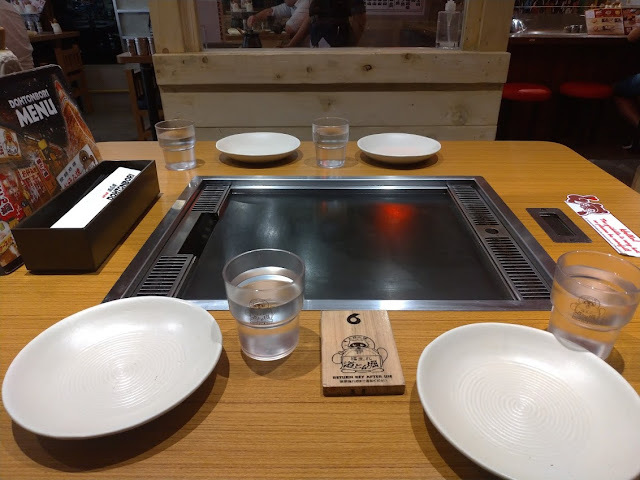 Since my friend and I wanted to focus more on catching up, we decided to let the staff do the cooking for us. This is what the Okonomiyaki looked like before it was cooked. 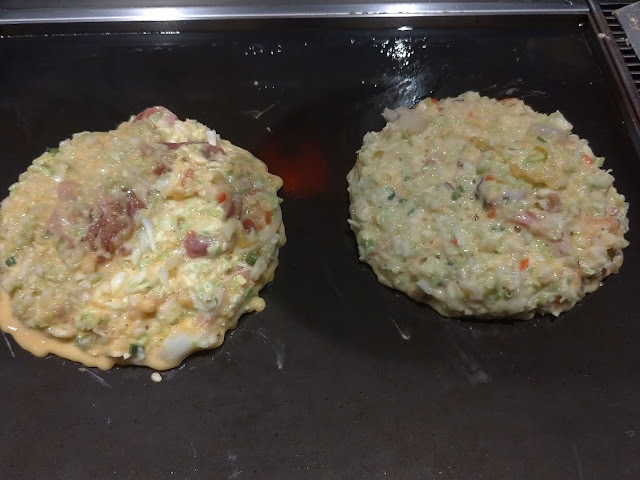 This is how it looks when it's being cooked. It reminded me of a cross between a pancake and an omelette. 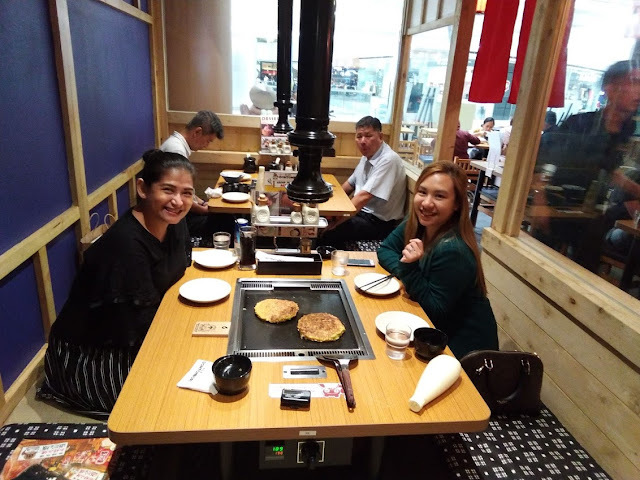 This is my good friend and I while waiting for our food to be cooked. 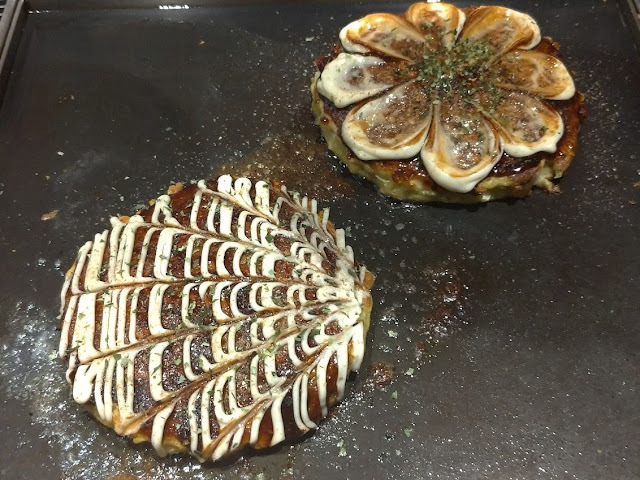 And this is our okonomiyaki, all dolled up and ready for the taking. If it looks good enough to eat, trust me when I say that it smelled even better and tasted way better than I even thought. 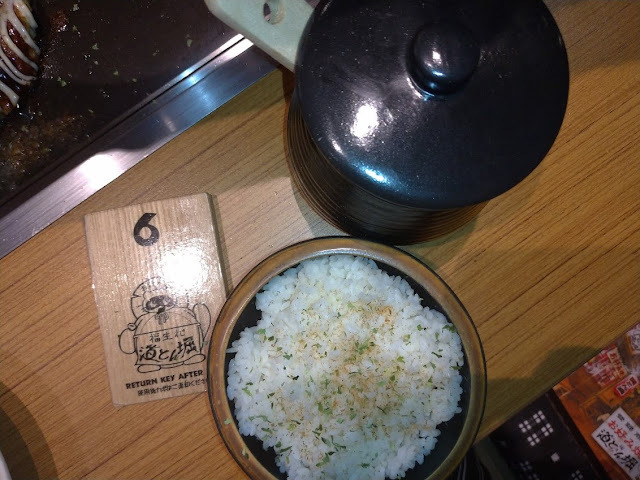 I placed nori on top of my rice. This was a trick I learned from someone back in college and it really makes the rice taste even better. Here's our little group. 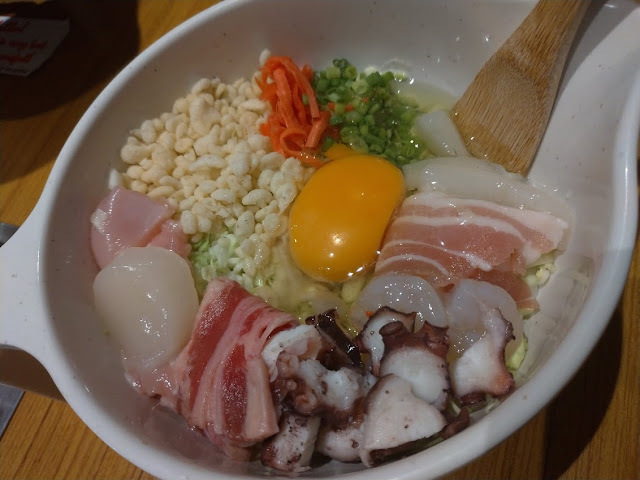 I personally enjoyed this place, enough that I would want to eat here again. The Okonomoyaki, paired with rice and nori, was absolutely perfect. The fact that I was with great friends and M just made things even better.